We are a professional and dependable Teleprompting company in the San Francisco Bay Area. 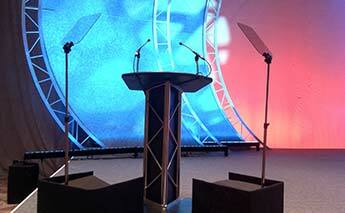 We have a wide variety of teleprompter systems and expert operators prepared for any type of production or live event. We know how to work closely with your important executives and on-camera talent to deliver a smooth clear message every time. 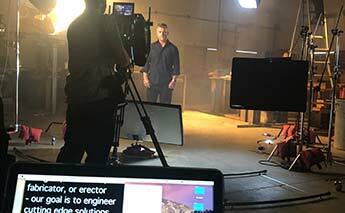 Teleprompter Equipment Rental and Operator Services. 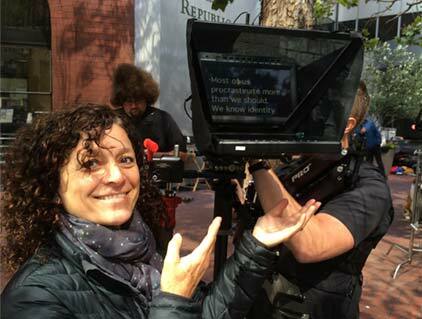 Conchita Perales started Eyeline Teleprompting in May of 2000 with one prompter, one powerbook and one client. Today we are the #1 Teleprompter Equipment Rental and Operator provider in the San Francisco Bay Area! Eyeline Teleprompting has years of experience working with important people at important events throughout the San Francisco Bay Area, across the country and around the world. Our professionals can travel anywhere, bringing top-quality systems and delivering exceptional service. 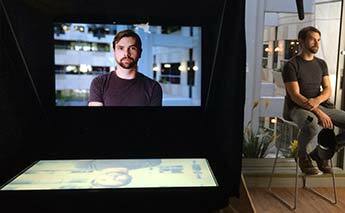 The #1 Teleprompter Equipment Rental and Operator provider in the San Francisco Bay Area! © 2019 Eyeline Teleprompting. All Rights Reserved.